The West Coast capital equipment giant, Papé, approached Adpearance with a need to transform their digital presence. With five distinct operating companies, each serving a different customer in the equipment market, a large branding consideration was how to keep these markets consistent to their brand while targeting different facets of the market, all while branding Papé cohesively. Another major goal of the project was to ensure that Papé's online presence helped drive their business forward and serve customers, rather than simply being an online brochure for the company. Adpearance was excited to tackle these problems across multiple platforms. We accomplished this by planning, designing, and developing seven separate web entities in a clear and cohesive online brand for Papé and its entities, while conveying the breadth of its equipment offering, facilities, and size. In addition to web entities, Adpeareance utilized its marketing and analytics teams to create a social media brand guide, digital marketing creative, and a transactional customer portal for Papé customers. The result? 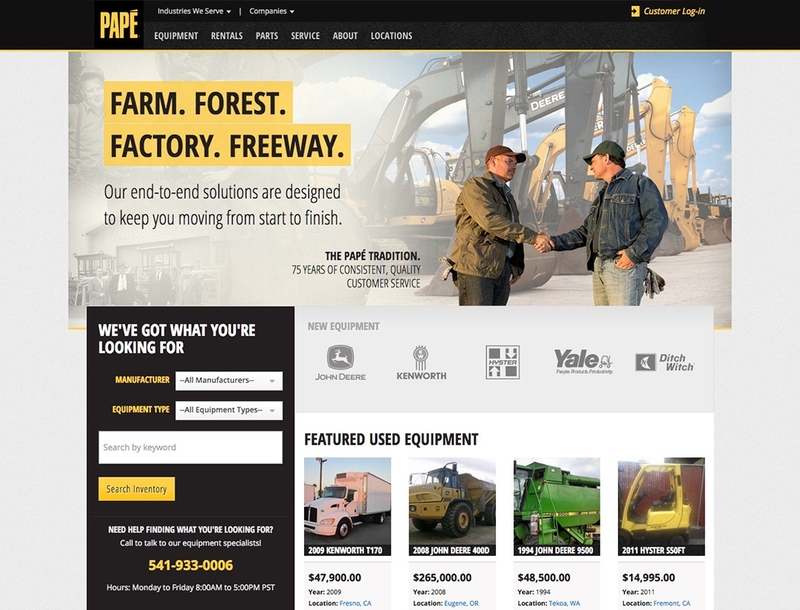 A robust online presence that ties all the operating companies together at the parent level as well as a customer-focused and responsive website for each operating company: Papé Kenworth, Papé Machinery (Ag & Turf and Construction & Forestry); websites re-launched 2018, Papé Material Handling, and Ditch Witch Northwest. The end result was a business-focused online presence that allowed customers to engage with Papé in a more meaningful way. Using inbound marketing tactics, website enhancements, and digital advertising, we created multiple campaigns to drive traffic and leads to Papé's operating companies to make sure that the digital branch of Papé was helping drive sales at physical branches. 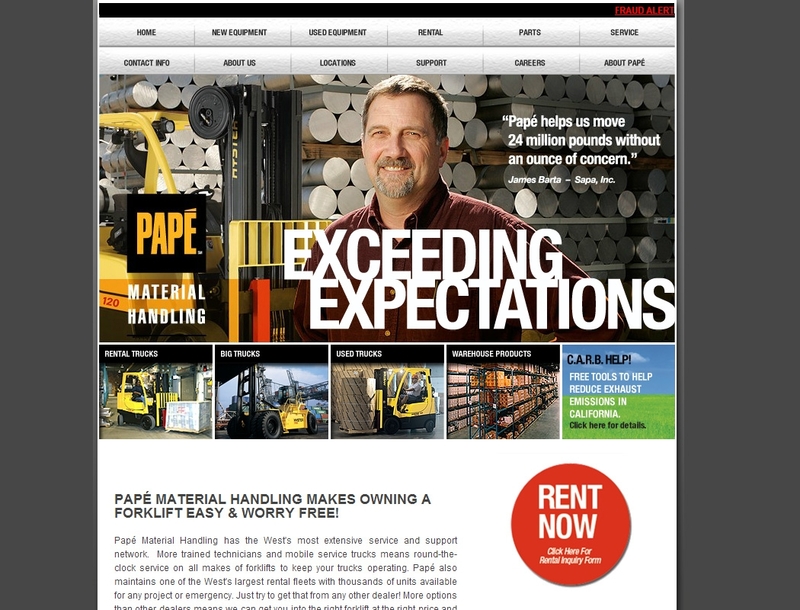 Papé wanted to be able to cross sell equipment to customers to increase awareness of the many industries they serve. 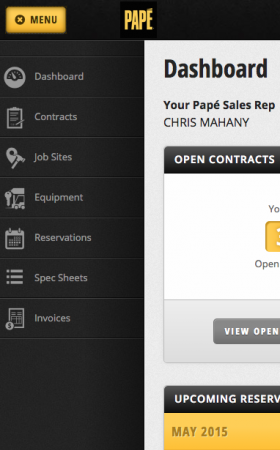 We created a robust equipment repository that integrates with Papé's business system across operating companies to be able to create a central user experience to view all equipment Papé has in inventory. Because of Papé's size and breadth, the new websites needed to ensure that the Papé brand connected all operating companies together cohesively despite differences in manufacturers and equipment sales. The importance of creating a strong Papé brand is also reflected in the functionality developed to increase cross-selling opportunities between companies. The user experience across all operating company websites had to be cohesive and easy for the user. We designed elements of the sites that would be global to create visual consistency. Additionally, the header and footer of all websites include ways for users to move between the sites to fully understand the depth and breadth of Papé. Papé wanted a web presence that helped customers do business online. We created an online customer portal with robust integration with Papé's systems to allow customers to do more business online, including parts ordering, rental equipment information, invoice lookup, fleet management, and more. Using Adpearance's proprietary technology, we integrated with many of Papé's manufacturer equipment feeds to showcase a robust equipment showroom with details, specs, and imagery for all equipment. A robust planning phase allowed us to dive into Papé's business to understand the ins-and-outs of their sales process & lead management system as well as dig into the differences and crossover between operating companies. A mix of high-fidelity and low-fidelity wireframes outlined the plan for a cohesive user experience between websites, and how we were framing the sites to achieve the business goals we outlined. Working with the Papé team, we also created a technical requirements document that detailed the specifications of the business system integration and how to build a multi-site solution that scales for Papé. Papé's new digital presence needed marketing assets to complete the makeover. Custom web logo treatments and marketing assets were created, including social media brand guide and cover images, icons and calls to action, web logo treatment, and digital marketing assets. The challenge: creating design elements that were unique to each operating company while also trying them all together to create a cohesive Papé brand. The new Papé websites are responsive and thoroughly integrated, with user experience and design elements shared across all domains. The focus on equipment sales helps showcase Papé's breadth by showcasing their vast inventory and many industries served between operating companies. For the main homepage of the parent domain, we wanted to highlight Papé's history and customer-focused approach while not minimizing the focus on equipment sales and inventory. 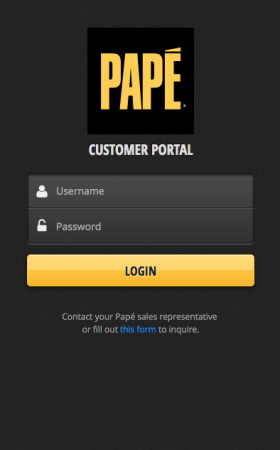 The customer portal features many unique features, but one of the most important to Papé's business is the ability for their customers to order parts online. 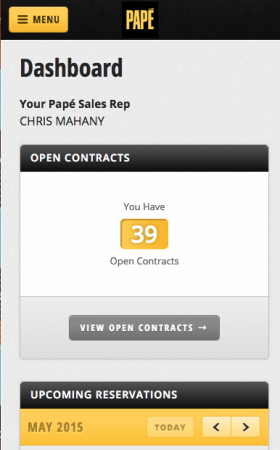 As more of Papé's customers do business online, the websites absolutely needed to be responsive. Our fluid responsive design ensures that the websites look and function beautifully on all devices, including the customer portal. The focus on a mobile-first strategy reinforces Papé's goal to help their customers do business online. 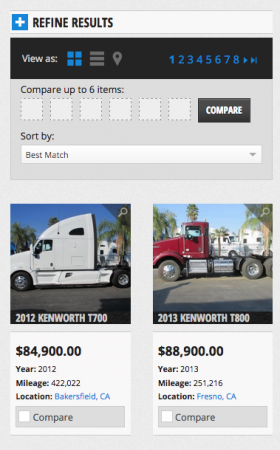 The full-responsive site makes browsing new & used inventory from Papé's companies a breeze. Choose from grid, list (shown here), or map view. 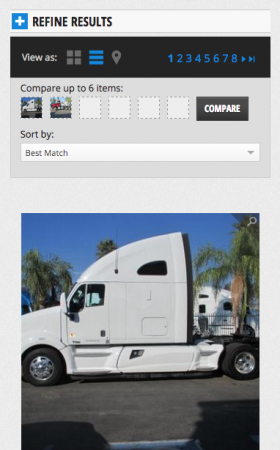 Compare equipment side-by-side. Get detailed specs on new equipment. We improved user experience on the new Papé sites with more highly visible inquiry forms. Find the nearest Papé location, even if you're on the go with only your phone. 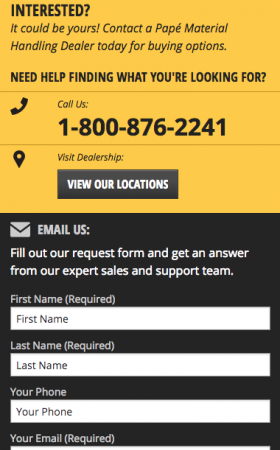 Each location page includes thorough dealership information so you don't have to search elsewhere. 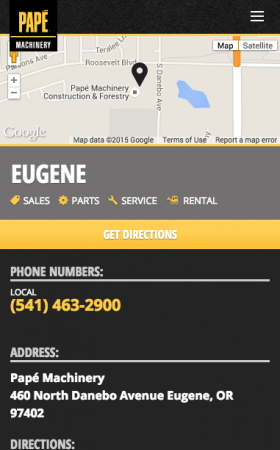 Customers can now order parts or manage their rentals through Papé's mobile-friendly Customer Portal. 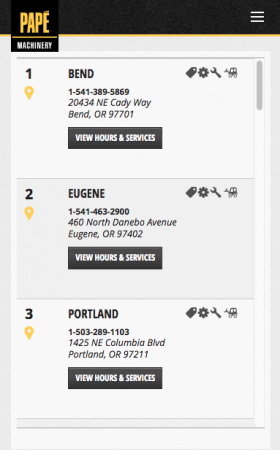 The Customer Portland Dashboard gives important, at-a-glance information. Navigation on all Papé sites is easy, even on small screens. Papé's former website included Flash elements, making it difficult for mobile users to access. 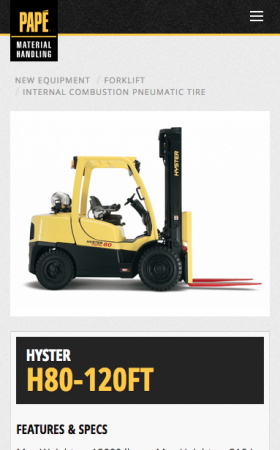 Furthermore, searching for specific equipment availability or rental opportunities proved frustrating with little or no information available online. Not only does the new website include a responsive, clean new design, but we brought in a massive amount of new information potential customers could easily find. Digital advertising has been successful for Papé in many ways. In addition to general branding and remarketing campaigns for the operating companies, specific equipment campaigns target customers lower in the sales funnel to drive form submissions & phone calls. As Papé continues to grow, they have acquired several businesses. this poses a challenge to make sure they saturate their new markets and allow customers to find them easily. The digital advertising strategy we have implemented has helped ensure a smooth transition for customers to working with Papé. Papé's digital overhaul has produced lasting results across all operating companies, and we have continued to build out new elements of their online presence to adapt as their business grows. “Adpearance was key in penetrating a market previously untapped market for Papé Machinery, and helped prove the power of digital advertising to a digitally-skeptical sales force. Like what we did for Papé? Get in touch to see what we could do for you!